Although the Olympic Games are already receding into the background, and the Paralympics Games are just beginning, they have given us a boost to national self-confidence once again. The Olympic medal tally exceeded our wildest plans with Britain even topping China and coming second in the medals table. Truly good news, even if the funding worked out at about £6M for each medal. I believe three things contributed to this success – confidence, boldness and funding. I do hope that we, as the Teulu Asaph, can be confident and bold like our Olympians. Christ is King, and the message of the scriptures is that because of that fact, there should be nothing of which we are afraid. We just need to step out boldly in faith. 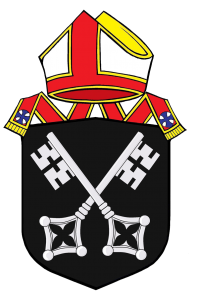 I also believe that we have a team of gifted and talented clergy and lay ministers in the diocese, and perhaps amid all the lists and instructions, it is easy to overlook the place of giving you all affirmation for who you are, and how much you contribute to the Kingdom, just as it is easy to give our attention to all the burdens, and not appreciate how much is being achieved. Even the funding is available. The Transformation Fund means that there is money ready for wise investment – seeded by the RB, match-funded from recent surpluses by the DBF, to ensure that every penny is applied for the future of the Church. There is no medal table for the Anglican Provinces (although there’s scope for a satirical piece there perhaps! ), nor even a medal table in heaven I suspect, but I hope we can be confident, bold, and resourced in our common life in St Asaph, and that we can go for gold. The second of this year’s Clergy Synods will be held once again in the St David’s Hotel, Ewloe, on Wednesday, 28th September, from 1000hr until 1530hr. A full programme is prepared, at which I hope all licensed clergy are able to be present, although I recognize that some of our NSMs will have other commitments. I want to begin the day with a discussion session centred about questions that may be put to me and others where appropriate, concerning any issue which affects our common life. I would very much like you to identify one or two important topics for our common life for us to discuss at the opening session, and to ensure that the agenda addresses the points you want raised. I want the synod to be a time for honest and open consultation and fellowship, so do let me hear what topics you would like addressed. Perhaps each Mission Area, through their MALs, would be able to discern one topic, and get it to me by Friday, 23rd September. Later in the day, Tim Rowlands, Pastor of Festival Church in Chester will be speaking to us, and we’ll be reflecting on what the residency of Mark Yaconelli has taught us. Many of our clergy either discerned their vocations or completed their training at the Church Hostel, Bangor, which has functioned as Training College, Chaplaincy Centre, Christian community and student sanctuary down through the years. You will have heard that its life has finally drawn to a close, and the Trust was dissolved this year. The hostel itself may have gone, but the tremendous influence of the hostel persists in the life of the Church in Wales, and indeed, elsewhere. In order to celebrate its life, the dioceses of Bangor and St Asaph are organising a Service of Celebration and Thanksgiving at Bangor Cathedral at 1900hr on Monday, 5th December later this year. All alumni and friends of the Hostel are warmly invited to join the Trustees, and the two sponsoring dioceses of the Hostel for this event. It will be preceded by a Public Lecture at 1600hr by the Revd Dr Jeremy Duff, Principal of St Padarn’s Institute, followed by refreshments, before a Celebration of the Eucharist at 1900hr, at which the Principal Celebrant and Preacher will be the Most Revd Barry Morgan, Archbishop of Wales, and former Warden of the Hostel. It will be good to see as many as possible at this event. A warm welcome to Glen Lund who is our new training officer working alongside Richard Hainsworth as part of the new St Padarn’s training team, based in our diocese. He is completing his PhD on ethics in John’s gospel and he has just returned from Zambia where he worked for five years teaching and managing the library in a ministerial training college for the United Church of Zambia. As a general rule Glen will look after the formational side of ministerial training and Richard the academic side of training. I would also like to welcome Alexis Smith, and her husband, Scott, who are joining us from North Carolina. Alexis is training for ordination, and as part of the new St Padarn’s system will also be taking on work as a Pioneer Minister in Pool emerging Mission Area. As far as the clergy are concerned, there must be something in the water: another cleric has arrived at the door of Esgobty with a fiancé in tow. This time I’d like to congratulate Emma Rees on her engagement to Nick Kenny. The wedding will take place in Autumn 2017. I’d also like to congratulate Josh Smith (our Church Army Evangelist at the Centre for Mission) who marries Sarah on Sept 24th. Congratulations too to Jane James and Nick on becoming grandparents to Lucien. I am sorry to record the death of Derek Williams (former curate of Abergele) who passed away in late August. Derek’s ministry is remembered with affection and respect. 17th October Estuary & Mountain (Holywell) Mission Area Commissioning Service, St Mary’s Church, Halkyn, 1900hr. 20th November Borderlands MA Confirmation, 1500hr. 5th December Church Hostel Thanksgiving Eucharist, Bangor Cathedral, 1900hr. 7th January Celebration of 20 years of Women’s Priestly Ministry in the Church in Wales, Cathedral , 1100hr. 7th-8th March Area Dean/MAL Consultation at Foxhill Retreat Centre, Frodsham. The time is now approaching for me to undertake my Third General Visitation in the diocese and over the coming months you will be receiving more information about this. 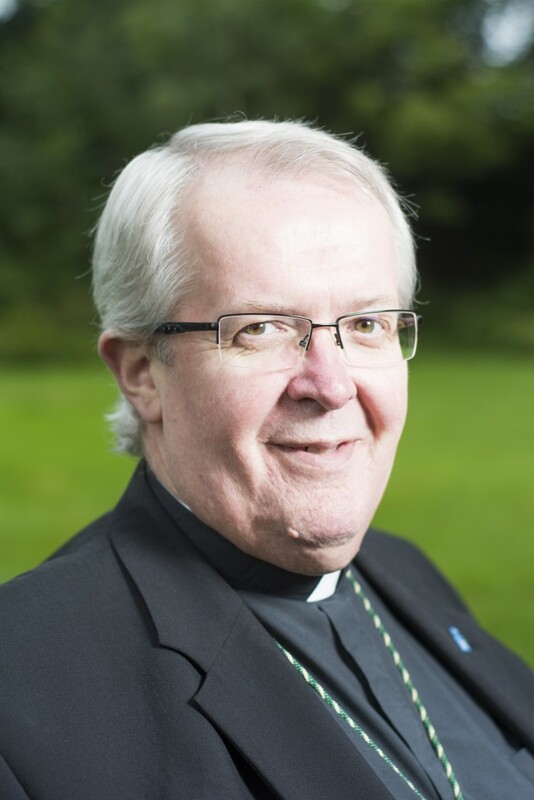 The Visitation is an opportunity for bishop, clergy and people to make direct face to face contact about our common life, and to give and receive honest feedback. On this occasion, we are planning to bring together neighbouring Mission Areas to celebrate together, and plans are at an early stage. I will now be pleased to hear from Mission Areas with their choice of venue for the Visitations. Contact: Karen Maurice 01745 532588 for info, but Sian to book. Cost: Free. Refreshments provided. Light lunch available but not included. In 2017 there will be the Clergy Residential School in Oxford, so the number of organised CMD events will be much reduced in order to make room for archdeaconry Quiet Days. Change can be a difficult and stressful for some and as we implement Mission Areas it is important to gain time and space for ourselves to recharge spiritually and in other ways too. As yet speakers haven’t been booked for the quiet days so suggestions would be welcomed by Manon or the Archdeacons. Care for the Family is a registered charity motivated by Christian compassion and has been working to strengthen family life since 1988. Their aim is to promote strong family relationships and to help those who face family difficulties. Working throughout the UK and the Isle of Man, Care for the Family provide parenting, relationship and bereavement support through live events, resources, courses, training and volunteer networks. Their resources and support are available to everyone, of any faith or none, and are produced with great sensitivity to the pastoral situation, while giving scope for a quiet background of Christian faith and support. It is my practice to make a small gift to all those children of clergy beginning university. Please draw my attention to any children qualifying this year, and I will write to them accordingly. The Community has asked me to publicise their retreats and courses for 2016/17. You will find full details online http://www.mirfieldcommunity.org.uk/retreats and a few brochures will be available at the September Clergy Synod or on request from Esgobty. Hugh Burgess set out from Halkyn to walk to Santiago as part of his sabbatical earlier this year. For those considering the possibility of a sabbatical in 2018 please contact Manon James for an application form and for advice in formulating a proposal. Once September arrives, it quickly turns into Advent and Christmas, and we have a number of major matters to which to give attention, not only in our parishes, but in our diocese. I am grateful for all that you are doing, and trust that you will see your hopes and plans coming to fruition.